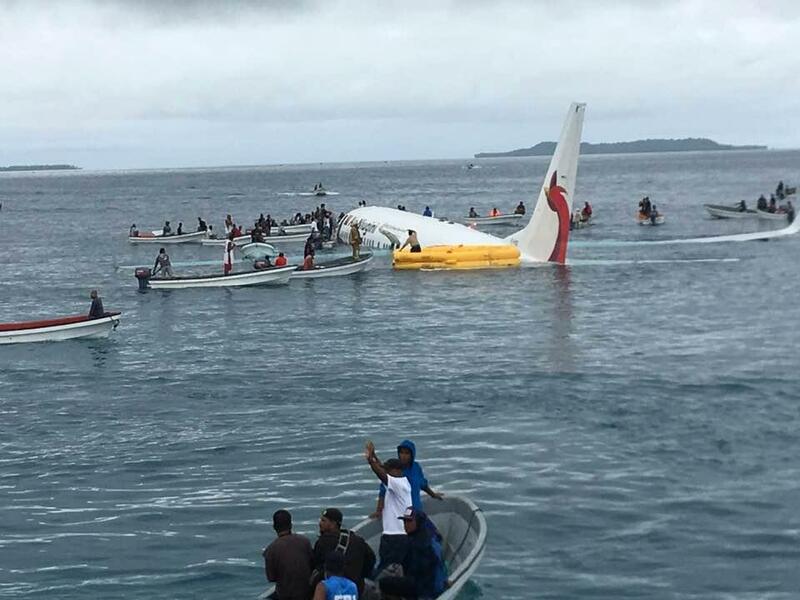 Dramatic scenes have emerged in the lagoon near the runway at Chuuk International Airport, on the tiny Micronesian island of Weno, as a Boeing 737 belonging to local carrier Air Niugini landed on the sea some 500 metres short of the runway. 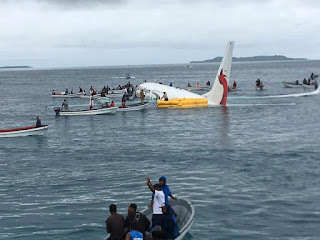 Locals came to the aid of the passengers in small fishing boats after the plane continued into the water of the lagoon and started to slowly sink. The aircraft was carrying just 35 passengers and 12 crew at the time of the incident, all were rescued and taken ashore. It is believed that 8 passengers have been injured and a hospital official told Reuters news agency that four passengers were in a serious condition after the crash, one is believed to have a hip fracture. The runway at Chuuk International Airport is 6,006 feet in length and a spokesperson for Papua New Guinea's Accident Investigation Commission has confirmed that investigators were on the way to piece together exactly what happened and find out why the Boeing 737-800 came to rest in the sea. 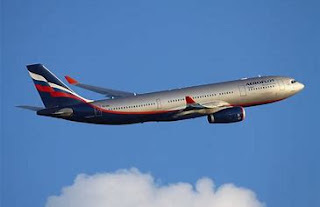 According to Australian media, one passenger on the flight is reported to have said the cabin crew 'panicked' and started yelling at everyone, as the aircraft 'overshot' the runway. Although, cabin crew are trained to shout instructions in an emergency situation to attract attention and instruct confused and scared passengers. The Air Niugini flight PX73 flies between Pohnpei in the Federated States of Micronesia and Port Moresby, stopping at Weno in Chuuk State. The aircraft is understood to be P2-PXE, which is around 13½ years old and had previously flown with Air India Express and Jet Airways. 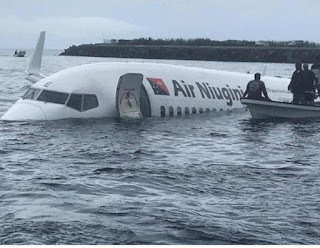 The incident occurred at 10:10am FSM local time on Friday morning and according to Air Niugini weather at the time was very poor with heavy rain and reduced visibility. In a statement, Air Niugini said they were sending "a special flight for company personnel tomorrow morning including the airline management to provide assistance to passengers and crew on PX 073, the Boeing 737-800 aircraft that landed short at Chuuk International airport runway today. The company doctor will also be on board to assist with treatment of few passengers who had injuries from the incident. The special flight will be available to allow those passengers who wish to complete their trip to Port Moresby and onward to their final destinations. Air Niugini has also arranged hotel accommodation for the other 27 passengers and 12 crew members." The airline said earlier that its thoughts and prayers are with the passengers, crew and their families at this time, as well as thanking everyone in Chuuk for the assistance provided today. Updated 1225 Number of injured added.